Have you doubled your waist size? Learn why you should calculate it! Be Known for Something : Discover Your Church Communication Thread / Communication Strategy / Have you doubled your waist size? Learn why you should calculate it! I spent the last week in Long Beach, California speaking at the WFX conference. I met lots of talented people and was able to pour a little of my branding and marketing knowledge into their capable hands as they work for God. I’m blessed to have the opportunity. I also got to do my favorite thing. People watch. I attended my first tweet-up (strangers who follow one another on Twitter, get together for fellowship at a predetermined location); it was great to meet in person the very small photo icon. In the airports and hotel there were also great opportunities to hone my skills. So many people with so much on their minds. All thinking that their “lives” are crucial and pivotal to the day. 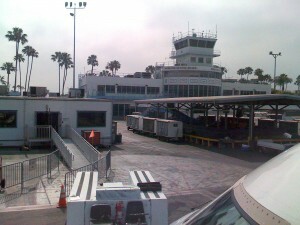 Leaving Long Beach airport today, I arrived almost an hour and a half early, thanks to an early wake-up call from someone on the east coast that didn’t realize I was on a 3 hour delay. I returned my car in and proceeded to the terminals, checked my bag ($15 grumble fee that I just read is going up to $20 soon) and realized how small the building was. I only saw one newsstand and a small cafe. I decided to speed read as many magazine as possible to gain an overview on the last week (since when I travel I don’t have the opportunity to keep up with the news). One of the magazines I picked up had the top winners of the Biggest Loser on the cover. They’d lost over 150lbs each. Incredible. How on earth could anyone ever do this? And why are so many of the people I “watched” this week, so overweight? I guess I have to ask myself why am I always hovering just a few pounds over my optimal size? My family and I have tried to watch this current season. Not much changes each year. The same ordinary people who have let themselves slide to a point they feel hopeless. Then they get on the show. But what about those of you not on the show? I often hear people say, “If I were chosen for a national show, I’d lose the weight too”. It’s very telling when you see loved ones of the contestants that are left at home not lose any weight. Here are things I’ve learned along the way that help me keep (and take) weight off. Have a Reason. It doesn’t take long to realize the correlation between the increasing waistlines of Americans and increasing healthcare costs. People choose to take drugs rather than loose weight. It’ll catch up to you. If health doesn’t motivate you, find another reason. A wedding, a special reunion or an anniversary. Perhaps that not looking after your “temple” is the reason. Set realistic goals. It’s really not about dropping pounds, it’s about being healthy. I’ve heard a cool way to tell if you’re at a healthy weight. Double your waist size (in inches) and it shouldn’t be over your height (in inches). If you just failed, set manageable goals based on the next two criteria. And don’t start with overwhelming goals, you end up breaking them. Start small and keep going for the rest of your life. Eat Less. I read recently that the average American weighs 18lbs heavier than they did in 1970, but on average is about as active. This is the culprit. We eat too much. I often find myself eating for the sake of eating. The kid’s meals of today are the adult meals of yesterday. Since I have insatiable cravings for fast food, I limit myself to a kid’s meal — or just a non-cheese adult sandwich with light sauces. To stop you from unnecessary eating, chew gum. I like a sweet gum like juicyfruit to take away my taste for sweets. Be more Active. Think about all the opportunities for activity in your day. Most people can’t afford the luxury of a fitness club, so look for ways to be more active throughout your regular day. Park farther away from the door. Take the stairs. Do crunches during commercials (don’t let yourself snack on a high-fiber, low-fat food, unless you’ve done 30 crunches for every commercial break in an hour show). Every little bit helps! I’ve just spent a week away, eating out and not going to a good gym. So, I’m going to start over using the summer beaches as my goal. I don’t have to drop much compared to the Biggest Losers. I’m sure you’re in the same boat. What are ways you shed pounds or get motivated? Thanks for the tips on Weight Loss – When I found out about the opportunity to speak at WFX, I realized that it was time to set a goal for weight loss. I had been through a really challenging – hard – time of life for 6 months, and was nearly 100 lbs. over the recommended healthy weight. This was Feb. 27th. I set a goal to lose 50lbs. before I left for WFX in May (12th) and found a diet/exercise plan that worked for me. Just over 2 months later, just days before my trip I made my goal! What you say is so true! Had I not had a reason (WFX – Being on stage in front of people) I would have never succeeded! The hours at the gym melt away when there’s “healthy” motivation. Now – I have 50 more to lose – My Reason, a family European vacation in the Fall! Well, last winter, I set a goal to lose 30 pounds before the family reunion in July 08. I did it. But I wasn’t done. Still have 20 to go, and instead of losing 20, I have succeeded in letting 10 creep back on, this despite regular, intense, and varied workouts. So, I reset my goals. This time for 10 pounds by mid-July. Started a new eating plan today and determined to keep the food journal, which was a major key to my prior success. I don’t like it, but nothing else seems to work. So…my new reason: This summer’s family reunion is AT THE BEACH…which involves shorts and sleeveless shirts and, horror of all horrors, BATHING SUITS! I refuse to be the heaviest woman there. I’m already healthy…eating right (no fried, no fast food, no transfats, no red meat, etc) and good cardio and weight routines, but still over my acceptable BMI. So, the last 20 pounds will have to be for vanity’s sake. Nothing like discussing resolutions to lose weight in the middle of May instead of on January 1. This is when we all realize that the January promises aren’t working. Totally agree with both of you! You can do it — it’s a mater of calories in and calories burned. Metabolism helps with the latter, and muscle building speeds metabolism. Aaron, you looked great at the conference, you must feel a lot healthier too! Carolyn, I’m with you — I always come close to my goals then “treat” myself because I’m doing so well… then before I know it, I’m back into resolutions again. I have 5 more pounds to go… and I’m GOING to get there this time. Before the beach. Let me know know how you’re doing! And when you reach the goals!